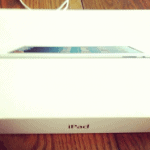 Today I have a post from a fellow blog friend Ben. He is full of financial information. When I asked for guest posters last month, he gladly jumped to the occasion to help me out. Thanks again! I started last year with over $3,000 in credit card debt. Depending on your own experience with credit cards, that may sound like a lot or a little to you. Either way, you can probably understand why one of my New Year’s resolutions last year was to become debt free in 2012. It really is no fun having debt, and I would actually even go out on a limb and say credit card debt is the least fun kind of debt to have. So… how’d I do? Pretty well! 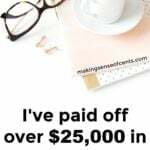 I was able to pay off my entire credit card balance and reached my goal in July of last year. 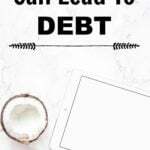 These were the habits that helped me pay off my credit card debt quickly – even faster than I expected – and it felt good to know that my behavior changes had helped me reach my goal. Which is why I found it troubling that these habits started fade away once I became debt free. 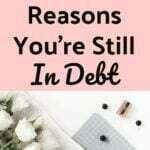 The truth is, getting rid of debt is an extremely urgent goal. It’s also very hard to ignore. Those two things made it easy for me to stay focused and commit to the habits listed above. Once I was out of debt, the urgency and the focus were not there anymore. I started to feel more positive about my finances (which is good) but that positive feeling lulled me into ‘easing up’. I stopped using my budget spreadsheet for awhile. I went back to buying lunch out of the office everyday. And I no longer looked for ways to make extra money. 1. Create a goal: There really is nothing like a goal for providing motivation. In fact, I think there is something about our human psychology that requires this type of focus on a single objective to create any lasting behavior change. So… what’s my goal? I’ve decided that I want to save at least 20% of my take home pay this year. 2. Envision your future: Your goal will be more powerful if it is associated with a vision of where you want to go. For me, the long-term vision that motivates me is having financial security, which means an emergency fund of at least $12,000-$15,000 and to eventually have some measure of financial independence, which means enough money saved up to retire early (I know that’s a reaaaally long term goal). 3. Have monthly targets: In addition to your main ‘big picture’ goal, you need monthly targets. These will show you whether you’re on the right track and they help you maintain that sense of urgency every month. In my case, the monthly targets are to save 20% of my take-home income each month and to know exactly how much I spent each month. 4. 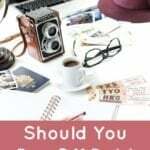 Allow yourself small rewards: One of the things that tripped me up after getting out of debt was that I really wanted to reward myself for accomplishing that major goal, and that resulted in some additional spending. The problem wasn’t that I spent a little extra for one month, it was that I continued to spend a little extra. That’s why you do need to give yourself rewards (i.e. one dinner out or one trip to the movies – whatever makes you happy). The trick is to enjoy those nice things and to look at them as special treats rather than things you can do all the time. 5. Spend time with like-minded people: It may sound strange, but you are who your friends are. Research has shown over and over that we tend to act in ways similar to those around us. If you’re spending time with people who don’t have financial goals and/or who like to spend well above their means, you’re going to have a difficult time sticking with your plans because you’ll be trying to ‘keep up with the Joneses’. On the other hand, if you spend more time with people who share your financial goals, it will be easier to stay on track. 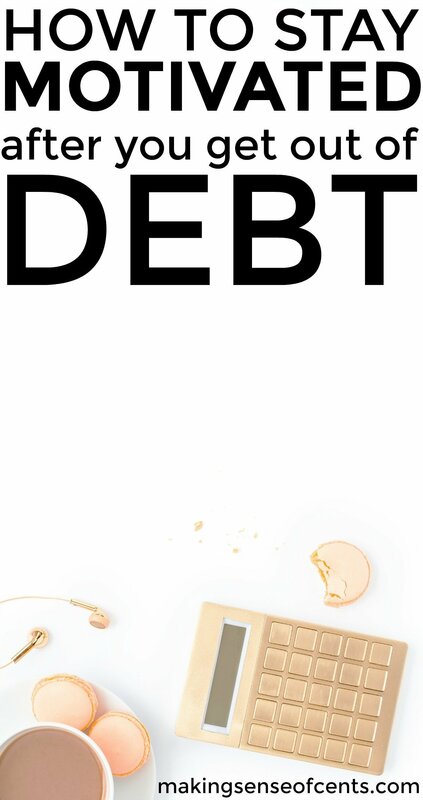 For anyone who is still working on paying off their own debt, please check out our Credit Card Debt resource center, our Student Loan Debt resource center, and our Debt Consolidation resource center. And anyone can get some great tips from our Budgeting Tips resource center. If you’re looking for a community of like-minded people as you pay off debt in 2013, don’t forget to check out the Debt Movement where we’re trying to pay off $10 million in 90 days together! Benjamin Feldman is a personal finance writer for ReadyForZero, a startup company that is helping people pay off debt with their free online tools. You can follow him on Twitter @BWFeldman and at the ReadyForZero blog. Ben makes some great points that a lot of people don't realize after getting out of debt. Kudos for sharing your story! It’s important to keep focused on how to keep the situation under control once the goal is met. I have lost weight, and I am almost at my goal. I am working on coming up with a plan to keep my weight off and enjoy my new way of life. Same principle in many changes we make in life. Hate to tell ya, but nowadays $2,000 in debt is NOT a toreendmus amount of debt! Credit card companies deal with people like you ALL the time The U.S. is freakin’ cos people all over have *many* times that amount in debt! They charge for boats, planes, automobiles, etc., so you see, again $2,000 is NOTHING!!! 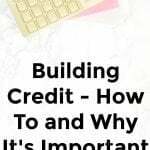 This is gonna sound odd, but it happened just the same and it really pissed me off cos I found out what I did wrong when it was too late.I could never qualify for a major credit card so I applied for and got a credit line through a national jewelry chain. I needed the credit so figured what the heck, right? WRONG!!! I had it for a few years and was able to acquire a few pieces of jewelry. Thinking I was doing the right thing, once I paid off my charges, I closed it out. When I attempted to re-open it so as to get my children some nice graduation gifts, I was unable to do so and *that* was when I found out that I should have kept it open and just charged the minimal of $25 a month! Well, who needs that much jewelry? I was fed up and discouraged and never did it again.Personally I’m not big on plastic as *I* feel that it’s too much of a headache all the way around; for the customers *and* the merchants!The percentage rates are through the roof and when you make a small purchase, it only seems to double the original price of the charged item. That in turn raises prices, sometimes making for late payments and then the merchants have to wait for payments Me, if I can’t afford it, I don’t need it My advice to you is to be extremely diligent and not charge over what you can afford. By doing so you won’t be making any late payments, which also affects your credit.People are told that all the time, but they forget. The key is NOT to forget, but having instant cash can be quite the temptation and living in a society that wants instant gratification makes the temptation all the harder!Good luck! Hi Ben, I agree with this entirely! It’s very motivational to get out of debt, but once the emergency has gone it is quite easy to just go with the flow. I too have set myself quite strict savings goals, but with a little set aside for fun too (for example, my sister and her boyfriend were driving past my city today and we all met up for lunch). I am also really keen on hitting financial independence. Not necessarily early retirement, because I am currently in love with Science, but it’s nice to have options! I think it's important to set new goals all the time. Once you have accomplished one, then set a new list of goals. That's how I keep myself motivated!!! I am continually setting new goals. Not because I have accomplished my goals but the more because the path to accomplish them has changed. I enjoyed this post. It gives insight as to why it is so hard to stay on track. Also I would like to mention that many people that get out of debt, a high percentage get right back into another form of debt. Why because they have that extra cash flow burning a hole in their pockets. It takes a dedicated person to forgo that and allocate it towards financial security.